Enter the iPhone SE, Apple's first concerted effort at building a small phone in the age of big smartphones. It looks pretty much the same as the iPhone 5s, but it packs in the more powerful A9 and M9 chips from Apple's current flagship, the iPhone 6s. The 4-inch screen is positively petite compared to the 4.5 to 5-inch screens that have become the norm for flagship Android phones, but it also means the iPhone SE is more pocket-friendly. Ever thought of watching your DVD movies on iPhone SE on the go? Of course, we aren't about to pay iTunes' ridiculous prices to watch movies and TV shows we already own on DVD. Instead, we'll just rip those DVD discs to an iPhone SE friendly format. There are many programs out there that allow you to make copies of your DVDs and let you watch them the way you want to view them. If you're confused about choosing a suitable one, I recommend you try EaseFab DVD Ripper. It is easy to use for editing and conversion and makes great quality copies of my DVDs. 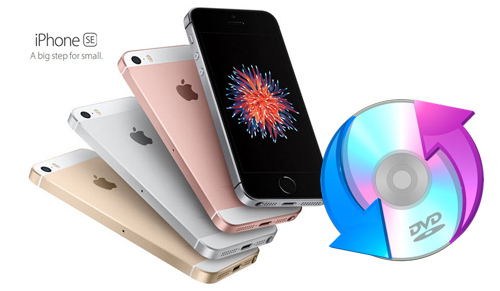 To be honest, the DVD to iPhone SE converter can help you rip and covnert all the DVD Discs even DVD iso/ifo image files. The audio/video synchronization is very good, the size of the subtitles too. If you're a Mac user, please turn to the equivalent Mac version - EaseFab DVD Ripper for Mac, which has the same function as the Windows version. 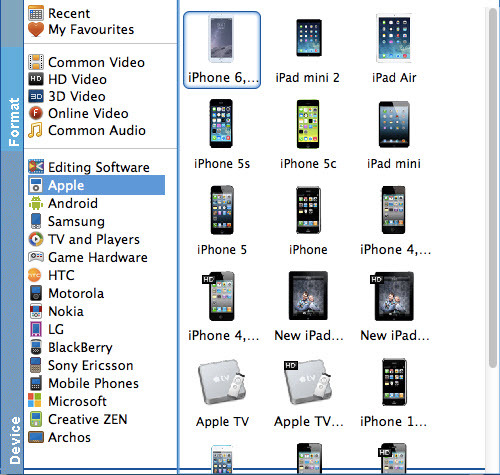 Converting DVD to iPhone SE with EaseFab DVD Ripper is simple as ABC. After downloading, follow the wizard to install and run the program. Then follow the steps below to rip DVD to iPhone SE playable videos in a few clicks! The below guide takes DVD Ripper for Windows (Windows 10 compatible) screenshots for example. Click "Profile" box and move mouse cursor to "Apple" category, select "iPhone 5s" as the output format. The output videos also seamlessly fit iPhone SE. Tip: If you're not satisfied with the output quality, you can click on settings you could easily set bitrate, frame rate, codec, channels, sample rate, etc to adjust parameters that affect video quality and file size for the video you prefer. keep in mind that bitrate higher results in big file size, and lower visible quality loss, and vice versa. For watching DVD videos on iPhone SE, 720p with 2000~2500kbps is just all right. At last, click the Start button to begin converting DVD movies to iPhone SE immediately. The conversion only take 10-15 minutes or even less. Once you ascertain that the conversion is successfully completed, you can import the file anywhere you wish to even in the media player as long as the file is iTunes friendly. First, locate the output file where you have saved the videos. Then open the iTunes app so that you can import the output videos to it. This can be done by dragging and dropping the media file. If the transfer is successful you can further transfer the converted DVD file to your iPhone SE and you can easily enjoy them everywhere you wish to.